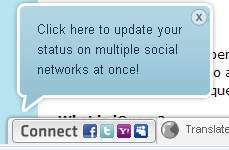 I'm increasingly finding Wibiya with their annoying toolbar overlay appearing on sites I visit, complete with a bouncing alert message revealing to me that I can update my status on multiple social networks at once. Wow. Note the pastel coloring, gee, guess what that reminded me of? I Need To Jump Into The Nearest Volcano And DIE! On the bright side, a double down arrow lives on the far right end of the overlay, past some Olympic hurdle-style links to the Wibiya RSS feed (useless), a Share link (useless), YouTube (redundant), Blogger (redundant), and a "Powered by Wibiya" link (I... could... care... LESS). On the dark side, clicking the double down, while it does hide most of the overlay, still leaves an irritating little tab. A quick search revealed this post which describes using the Firefox add-on Adblock Plus to prevent the Wibiya overlay from appearing. The first suggestion in the post to add just "toolbar.wibiya.com" to my AdBlock Plus configuration didn't hide the overlay for the site I was visiting, but a closer read at an update to the original post based on another visitor's comment revealed that adding the base Wibiya URL, "http://*.wibiya.com/*", effectively blocks the Wibiya overlay, including the tab, from appearing. I'm among those who finds absolutely useless the links to the various social networking sites which Wibiya's overlay provides. It's not so much that I'm antisocial, but see, I use tabbed browsing, I can just keep whatever site huddled among my tabs and not clutter a specific page I'm trying to read with a toolbar-like overlay. Even if the bouncy, bubbly cartoon bubble vanishes after my first visit, the rest is quite useless. To me, it's a mystery why anyone thinks this would be a popular, let alone useful way to interface with social networking. I can understand finding a given blog post or other site interesting enough to want to share on Facebook or Twitter, I grant them that, but why not use a much less obtrusive, static button for those respective services? Anyway, kudos to Firefox and AdBlock Plus yet again for providing an easy, flexible means to disable annoying Wibiya tools which, to me, are as useful as bicycle to a fish. Perfect. Thanks for posting this. I really hate their insipid toolbars popping up on all the sites I visit. Hooray, I'm glad I found this. I'm with you 100%. Thanks, great info. 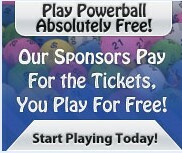 Yeah, I just found a site which shoved this crap in my face as soon as I loaded the home page. Annoying as hell, so I just added a filter to Adblock and it's gone. I adore you. THANK YOU! Well, I *am* anti-social and have no use for this increasingly appearing widgetbarcontrolthingy. THANK YOU! p.s. same string works for AdBlock in Chrome as well!! woot! Wonderful! Still working with Firefox 24.0 and Adblock Plus 2.4.